The Tropitone® Elance Relaxed Sling Chaise Lounge with Wheels features more fabric for a casual appearance and comfortable sit. Crafted from durable powder-coated aluminum, the frame features a dramatic arc and ergonomic lines. Choose from an array of frame finishes and fabrics to create an outdoor sanctuary of solace and comfort. 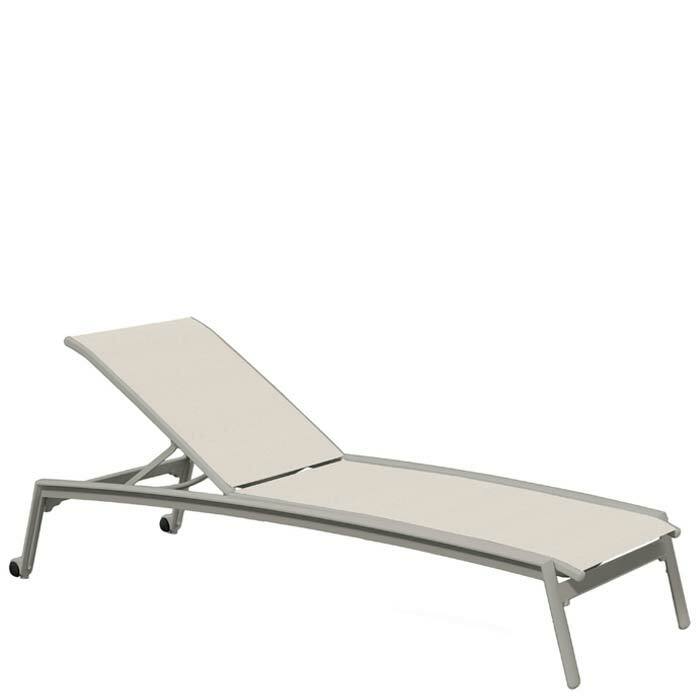 Elance Sling Chaise Lounges are stackable. The additional wheels allow the chaise lounge to easily roll to new vistas.